Hi guys, OMG, what is this weather fabulous! I'm a huge fan of Spring, the trees are getting there leaves again, everyone found there sunnies in the back of their closet and the days are longer! So I decided to wear some soft colors for the new season. 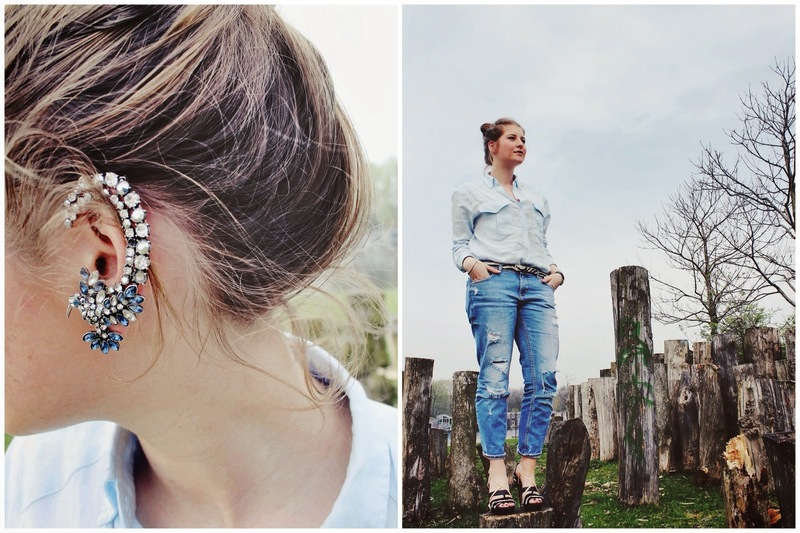 And I finally wear my amazing ear cuff from Zara last year again! I relized that I never photographed this ear cuff! So here it is! And yes, I'm wearing heels again, FINALLY! These Gucci heels are a true treasure, bought them in NYC at Saks with 70% off, HALLELUJAH! OK, back to work now, I have tomorrow my last exam, so let's rock it!